McDonald Panther Ridge Home offers 3 bedrooms and 3.5 bathrooms and is the ideal accommodation for guests looking for big views in a mountain setting. 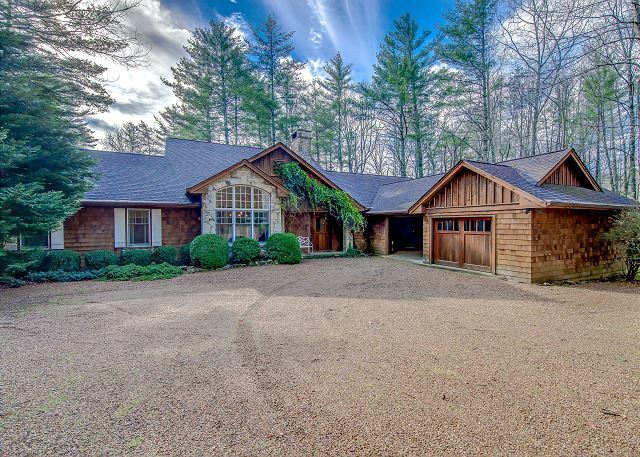 Wonderfully maintained 4 BR family home in quiet golf-course neighborhood in Lake Toxaway Estates. Perfect for secluded peace and quiet, close to many hiking trails, waterfalls, state parks, etc. 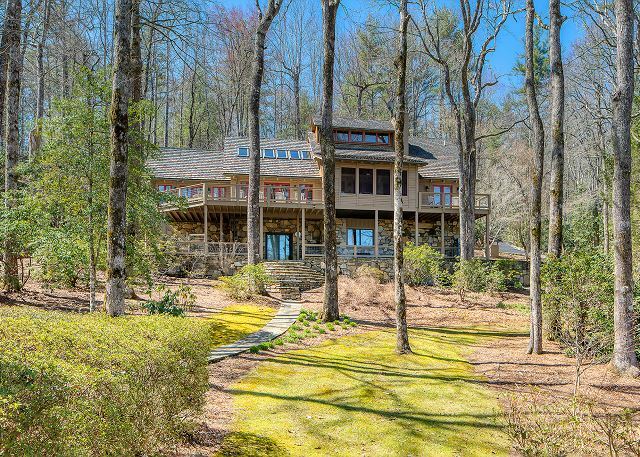 This home provides marina access to Lake Toxaway. 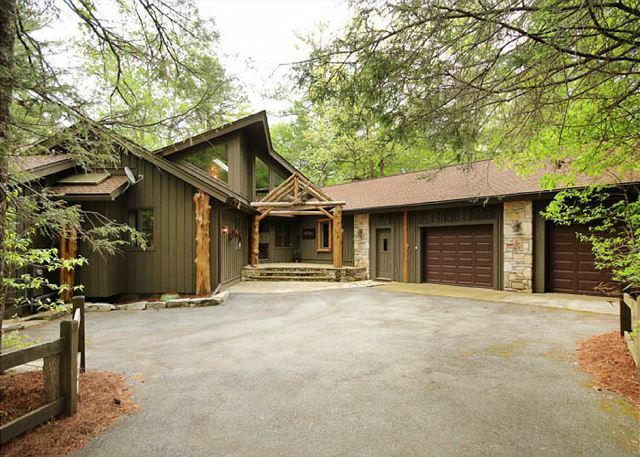 Fantastic lakefront home in Lake Toxaway Estates. 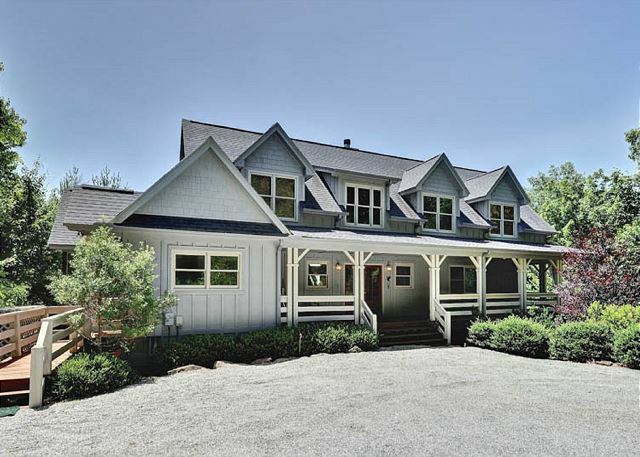 3 Bedrooms, 5 baths, extra rooms, screened-in porch, deck, sundeck over boathouse, two kayaks, boat dock with swimming ladder, ping pong table, and outside decks. Located in the Land of the Waterfalls! Beautifully decorated and sitting on the shores of NC's Largest Private Lake, guests can choose to sleep in the master bedroom’s queen-sized bed, two queen beds in additional bedroom, a twin, or one of the two bunk-bed sets. 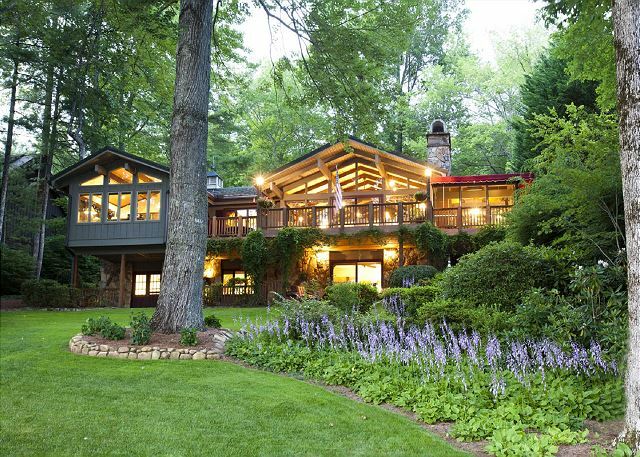 Admire the gorgeous backdrop of rolling mountains and lush greenery in the Hickory Knoll Cottage. Your lake-front vacation awaits in A Summer Place. This four-bedroom, three-and-a-half-bath home sleeps a total of 8, and offers easy access to the lake. Brand-new renovation completed in May, 2018. 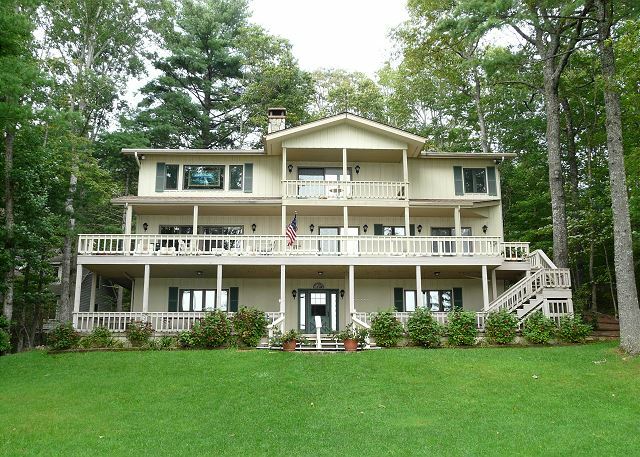 Gorgeous 2 1/2 story, 4 BR/3 BA lakefront home on beautiful Lake Toxaway. Perfect for families with great lake frontage for swimming, sitting around the fire pit, grilling on the deck. Country Club Membership. This stunning lake front home provides easy access to the Country Club and the Marina, making it a perfect retreat for your family getaway. 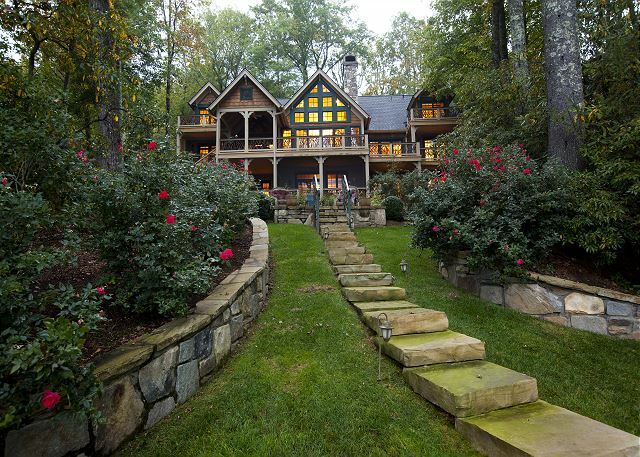 This home offers four queens and two twins to comfortably accommodate your group. A well maintained lakeside condo. This two bedroom, two bath unit with vaulted ceiling overlooking Lake Toxaway is a clean, quaint, well-equipped getaway. Access to the dock, tennis court and lakeside swimming pool. Enjoy the lake and cool mountain air.